First synagogue in United States was built. The Spanish and Portuguese Synagogue (Shearith Israel) opened its doors in 1654 in New York, New York. The synagogue continues to thrive today. Fire escape was patented in England in 1766. The system included a wicker basket on a series of pulleys and chains. Fire escape ladder was invented in 1879 by J. R. Winters. He received patent number 214,224. Children could view his patent at: https://www.google.com/patents/US214224. Margarine was patented by Alfred Paraf in 1873. The New York resident received patent number 137,564. Children could read about his process at: http://www.google.com/patents/US137564. They could do some research to see which is healthier, margarine or butter. 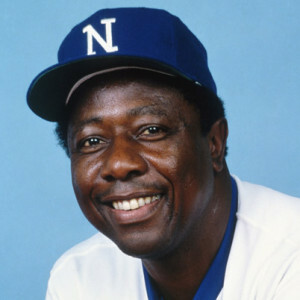 Hank Aaron hit his 715th home run in 1974, breaking Babe Ruth’s record set in 1935. Idea: Children could research the lives of both men and create a dialogue between the two men. Kofi Annan (born Kumasi, Ghana, 1938; died Bern, Switzerland, August 18, 2018) was the United Nations Secretary General from 1997 to 2006. Ruth Chew (born Minneapolis, Minnesota, 1920; died Castro Valley, California, May 13, 2010) wrote and illustrated at least 30 books for children. Her works include The Wednesday Witch and The Enchanted Book. Linda Crew (born Corvallis, Oregon, 1951) writes books for children and young adults. Her books include Children of the River and Nekomah Creek. Children can visit her website at: Linda Crew. Elizabeth “Betty” Bloomer Ford (born Chicago, Illinois, 1918; died Rancho Mirage, California, July 8, 2011) was a First Lady. 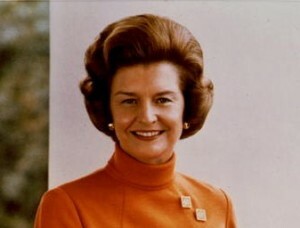 She was the wife of Gerald Ford, the thirty-eighth President of the United States. Children could visit a website at: Betty Ford. Trina Schart Hyman (born Philadelphia, Pennsylvania, 1939; died Lebanon, New Hampshire, November 19, 2004) wrote and/or illustrated more than 100 books for children. She received the 1985 Caldecott Medal for Saint George and the Dragon. She earned three Caldecott Honor Awards: in 1984 for Little Red Riding Hood, in 1990 for Hershel and the Hanukkah Goblins, and in 2000 for A Child’s Calendar. Children can learn more at: Trina Schart Hyman. Harold Keith (born Lambert, Oklahoma Territory, 1903; died Norman, Oklahoma, February 24, 1998) wrote about fourteen books for children. His book Rifles for Watie received the 1958 Newbery Medal. Lewis Morris (born Westchester County, New York, 1726; died Westchester County, New York, January 22, 1798) signed the Declaration of Independence. He represented New York. Prior to the Revolutionary War, he was a judge in a British court. During the Revolution, he was active in New York politics.